Thanks to Target for sponsoring this post! Isn’t it so funny to think back to all the different styles of jeans you have worn in the past?! I think back in humor at those tight, low rise, flared jeans I wore back in college. Or clear back to my stone washed jeans in grade school! My denim style continues to evolve with the trends. One thing I find myself doing now is styling denim to fit my mood or the occasion. I love being able to throw on a cute T-shirt for a casual look around town. Pairing the right accessories can still make this look appear pulled together and styled. One of Michael’s favorite looks on me is when I go with a dressier shirt and jeans. 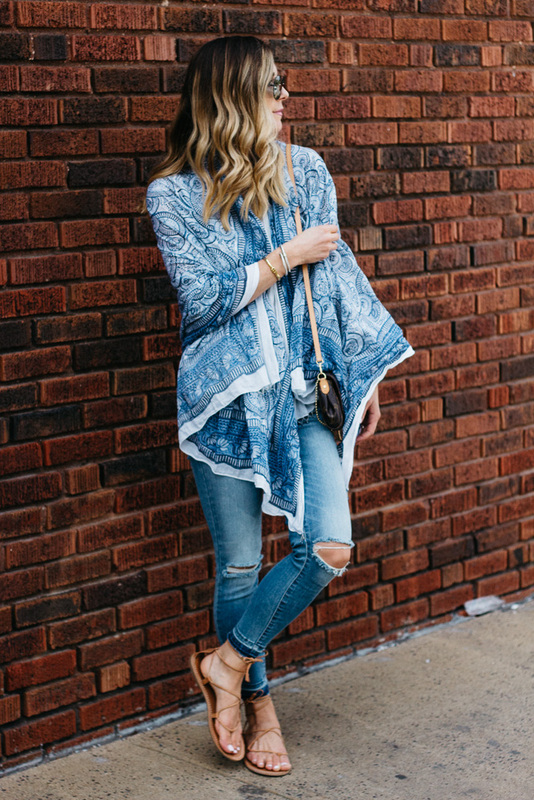 I adore the look of this soft blouse, nice purse and distressed jeans. 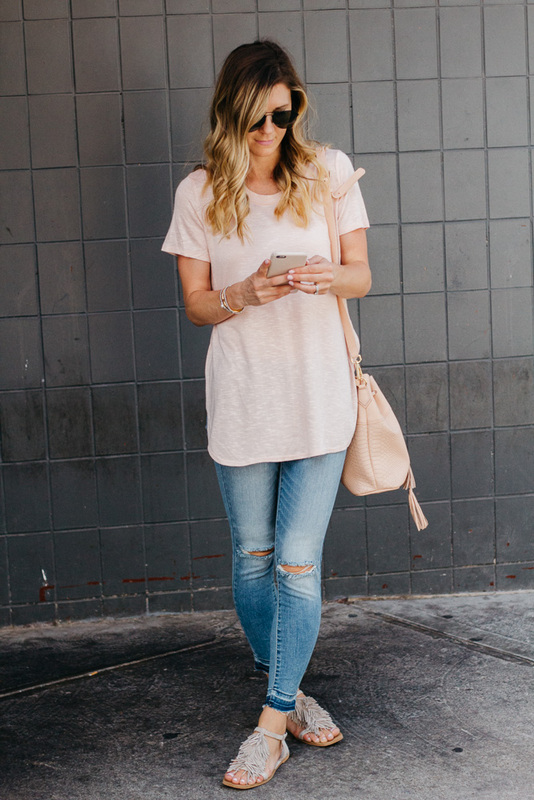 It’s so easy to look dressy while keeping a casual vibe depending on our plans. 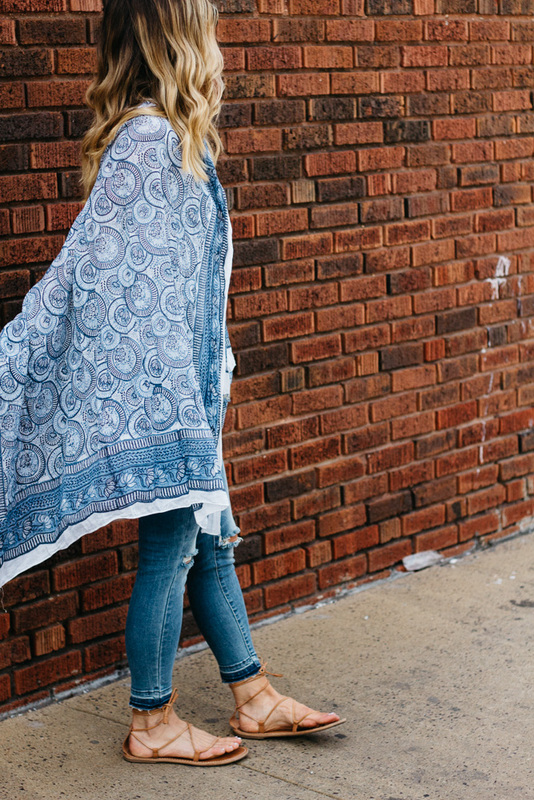 The last look I wanted to share is sure to be my fall staple – capes with denim. 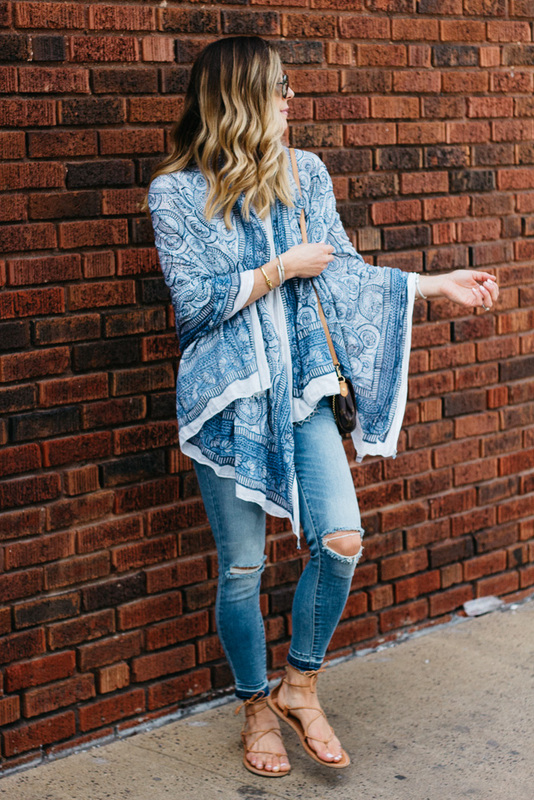 I am OBSESSED with capes and ponchos right now. 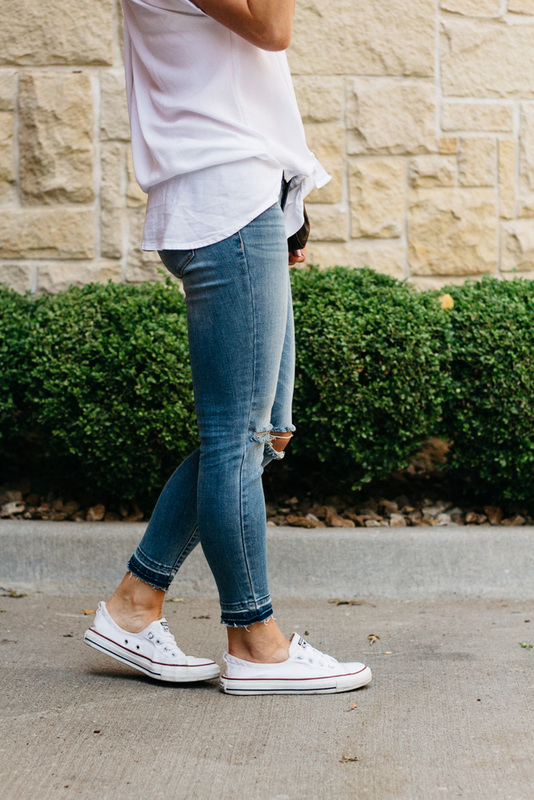 They’re so easy to throw on and are paired most perfectly with jeans. The best part of all these looks? They are the SAME pair of jeans and they are from Target!! I love all these looks and would have a hard time picking a favorite. 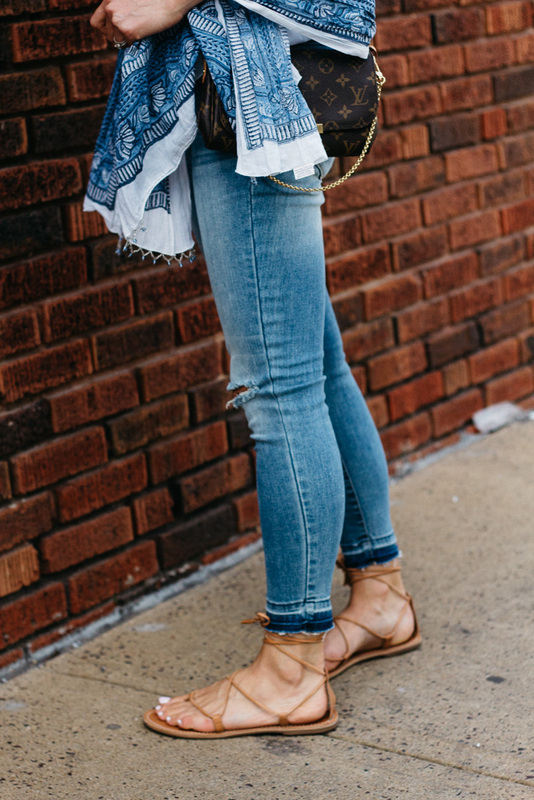 I would love to hear how you style your denim! Very cute! I love both looks! Love the outfits! Number 2 was my favorite! I am definitely going to recommend you! You always look so cute! 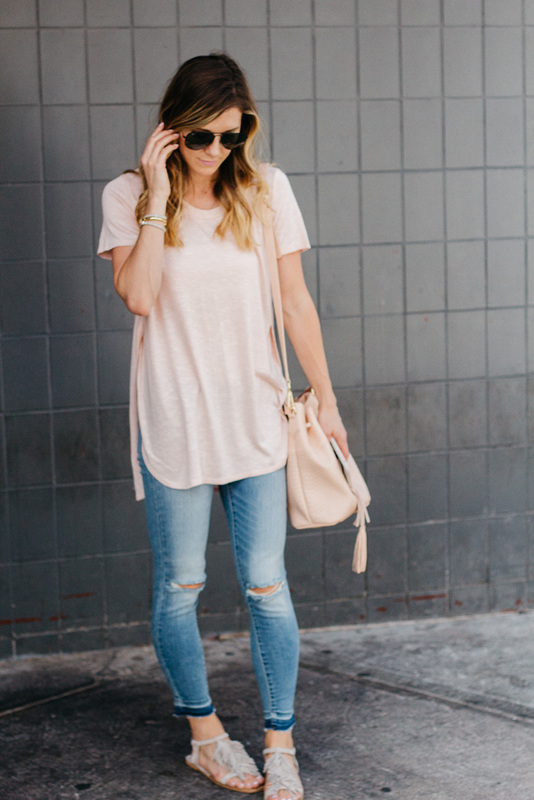 Love the jeans with both the heels and the flats, adorable! Great post! Every look gives us inspiration for wearing denim in a variety of ways.